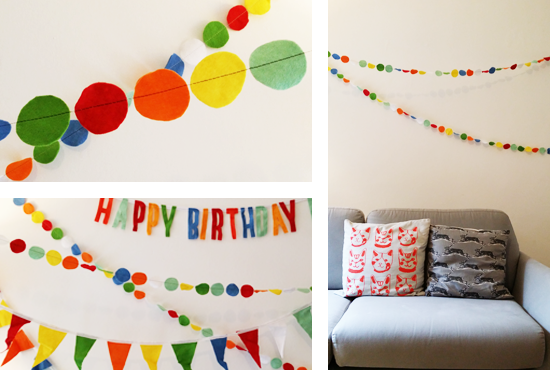 I had great fun making lots of colourful felt bunting for my little one's birthday. 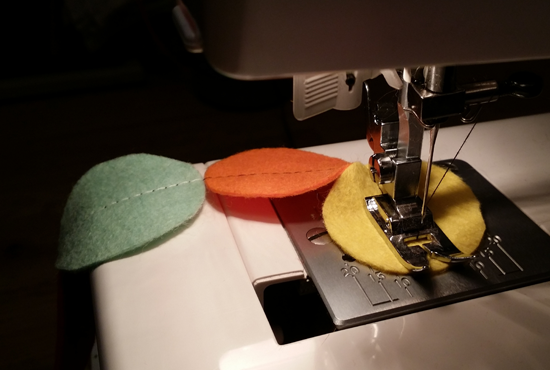 Though a bit time consuming I think its really fun and so simple to do. 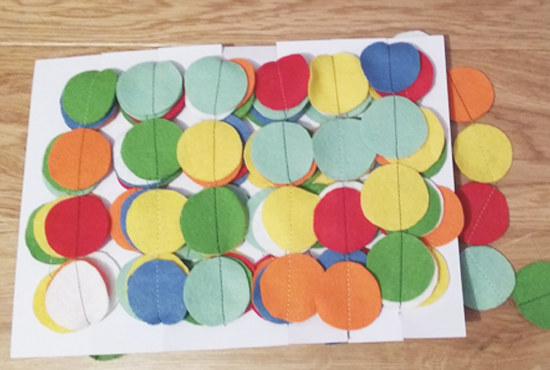 Simply cut your circles (or other shapes) and assemble a huge pile next to your machine, then stitch straight down the centre of each piece being careful to stitch straight onto the next one as I found the thread tangled and jammed if I wasn't quick enough and the stitch had nothing to stitch on to! 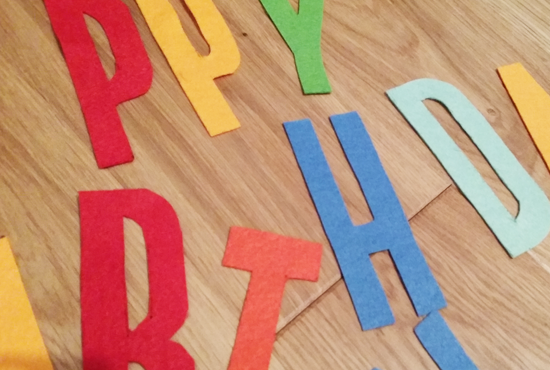 Cutting your own letters means you can easily personalise any birthday banners. 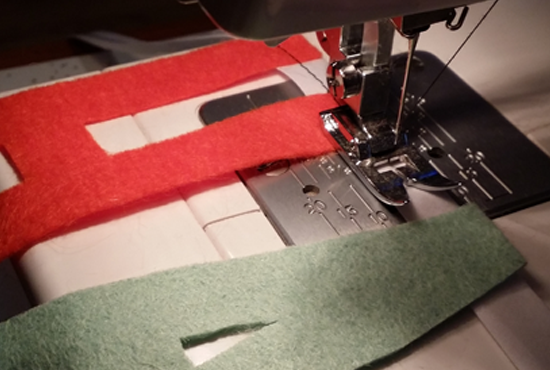 I did these in the same way as the circles but used some bias binding to form the 'ribbon' and hold the pieces together. Try it with a variety of shapes and letters!